With a name like FES☆TIVE, you can already picture what kind of direction and sound such a group might have… and you would be right. 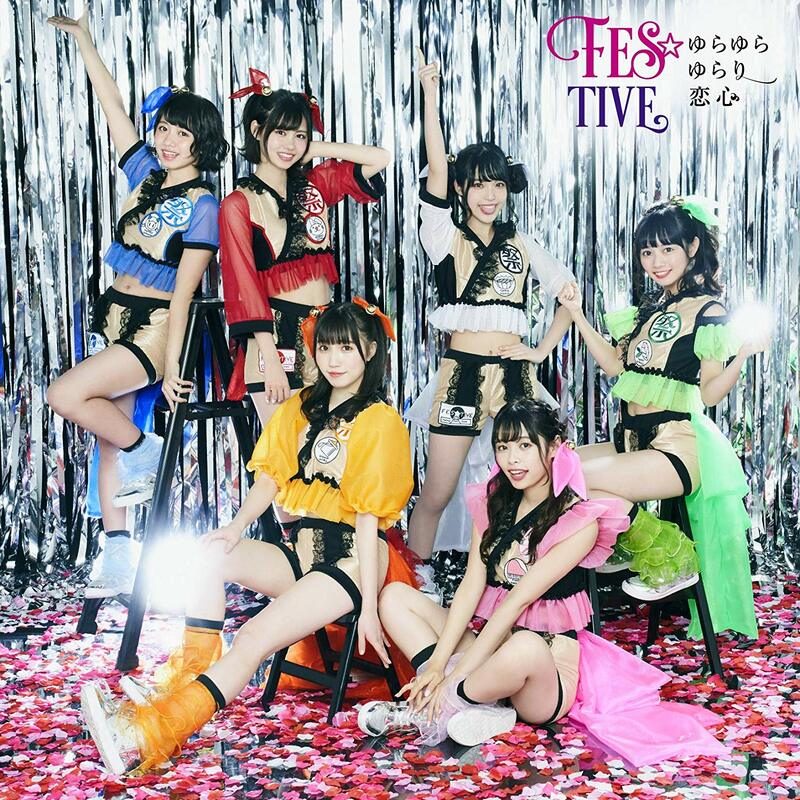 Deriving from words such as “festival”, “positive” and “active”, the songs of FES☆TIVE describe these terms perfectly thanks to their colorful melodies. Add to this a stylish aesthetic drawn from carnival and traditional Japanese culture, the 6 members are self-proclaimed ambassadors of Japan overseas! They have so far had many opportunities performing in the United States for J-POP Summit, but also in Hong Kong, Indonesia, and more recently South Korea and Thailand. But their main activities are of course based in Japan, and are regular performers of big idol festivals like Tokyo Idol Festival or @JAM EXPO. In March 2019, the group will already celebrate its 7th anniversary! With a steadily growing popularity since their creation in late March 2013, they have released seven singles in total -six under a major label and one as an indie act- as well as one album. The line-up is composed of 6 members: their leader Aoba Hinari, Shiraishi Piano, Mano Saria, Doko Ruriko, Minami Marika and Kondo Saeko. Fun fact: Aoba Hinari and Doko Ruriko are real-life cousins! The group went through, like many young idol groups, a few graduations and withdrawals, some being quite sudden. In their first year, the group had already seen three departures and recruited two new members. In March 2013, idol agency RIZE IDOL DEPARTMENT decided to launch auditions for its future group: FES☆TIVE. Seven lucky girls were chosen to debut in the unit. 9 months later, in November 2013, their first indie single was released. Titled “Wonderful Festival”, no video clip was unfortunately produced. They finally signed under major label Tokuma Japan Communications, rather known to produce enka singers, a typically Japanese singing style. In May 2015, they released their major debut single, “Omatsuri Hero”. It ranked quite high in the daily Oricon charts, reaching directly the 24th spot. All the elements that make the charm of FES☆TIVE are gathered in this single. There are many details from Japanese culture with keywords like “wasshoi”, “matsuri” (Japanese festival), but also yukata worn by the girls, or the MV’s filming location, in front of a Japanese temple. The tempo of the song and especially the chorus is faster and catchier than ever. The following single, released in November 2015, once again refers to Japanese culture. Here, the title is a reference to a festival game in which the player has to catch a goldfish with a fishing net, a very popular activity in all the Japanese summer festivals. In 2016, FES☆TIVE didn’t lose any of their energy and enthusiasm and offered their fans “Go Zipang” which is, even today, one of their catchiest tracks. It’s a challenge to keep up to the rhythm! Again, the song and especially the lyrics contain lots of references to Japan. Besides the presence of terms like “sushi” and “samurai”, did you know that “Zipang” was the term used by Marco Polo to name Japan at the time he first reached the archipelago? This single was the group’s best start in the Japanese charts, reaching the 10th spot. Their debut album “Wasshoi Records” was released on July 27 of the same year, combining old and new titles. The following year was very busy one! They released 3 singles: “Disco Rettō Ukiyo no Yume”, “Go to Fes” and “Oidemase!! ~Gokuraku~” – the latter easily being the group’s most popular songs ever! They rocked all the stages over the summer, between Tokyo Idol Festival, @JAM EXPO, and Idol Yokocho Natsu Matsuri!!. Some of the members were even offered several opportunities to model for magazines, and Aoba Hinari even released her first photobook, “Hinari to Yukigeshiki to Yukemuri”. 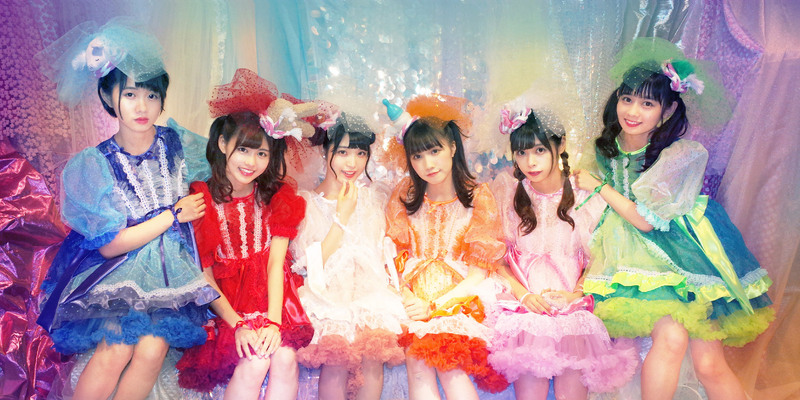 The MV for their next single, “Yamato Nadeshiko Sunrise”, released on May 23rd 2018, was filmed at the Shinjuku Robot Restaurant, very popular within tourists visiting Tokyo. Finally, their latest single, “Yurayurayurari Koigokoro” was released in January 26th, 2019. Despite their usual powerful energy, the direction of this video clip may seem more serious, featuring a plot focusing on the love story between two high school girls. After being guest performers of many countries in Southeastern Asia, with some side trips to the United States and even Mongolia, we hope to see FES☆TIVE on the stages of some European Japanese culture conventions. They beautifully portrait the hyped aesthetic of Japanese idols thanks to their songs bursting with energy, and would be the perfect guest to bring some lively cuteness to many more foreign countries!